Designed by riders, for riders, the Krush Bike Care Bucket is your ideal cleaning and detailing kit. It contains everything you need to keep your ride looking great. Based around the premium range of Krush bike care products, this kit also includes 4 important bike cleaning tools to most effectively use the Krush range. • This provides two levels of washing with a soft felt finish on one side and a mesh agitating surface on the other. 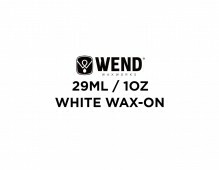 • Perfect for gentle washing on all bike surfaces and hard on stubborn grit when needed. • Use this to dry your bike all over after its Krush bath. • Super absorbent, this chamois will remove any excess water before applying Krush After Wash Bike Spray. 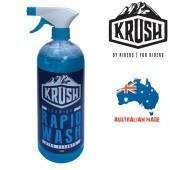 • Used in conjunction with Krush After Wash Bike Spray to give your bike that back to new finish. • Wipe gently, no deep rubbing needed, ready for its next trail shred! • Premium Krush Bike Care Bucket with sealable lid.